On December 12, 2016, the United States Equal Employment Opportunity Commission (EEOC) issued an informal resource document which serves to remind employers of protections afforded to applicants and employees who suffer from mental health conditions. The document, titled: Depression, PTSD, and Other Mental Health Conditions in the Workplace -Your Legal Rights addresses workers’ rights to protection from discrimination and harassment on the basis of mental health, privacy of mental health information, and the requirement that employers explore whether reasonable accommodations may be made to enable the applicant or employee to perform his or her job duties. The Americans with Disabilities Act of 1990 (“ADA”) provides protection from employment discrimination and harassment to job applicants based on any mental health conditions they may have, allowing them to keep their condition private before a job offer is made. Recognizing that charges of discrimination on the basis of mental health conditions are on the rise, with the agency resolving almost 5,000 such claims during the fiscal year 2016, the EEOC’s guidance serves as a reminder that mental health conditions are treated the same as physical health conditions under the law and that it is illegal for an employer to pass over a job applicant simply because he or she has a mental health condition. While it is permissible to refrain from hiring or retaining an individual who cannot perform the essential functions of the job, with or without accommodation, the EEOC guidance points out that “an employer cannot rely on myths or stereotypes about mental health conditions” when deciding whether an applicant or employee can perform his or her job duties. (4) when there is “objective evidence” that an employee may not be able to perform his or her job or poses a safety risk in the workplace because of his or her condition. If a question or examination screens out an individual because of a disability, the employer must be able to demonstrate that the reason for the rejection was job-related and was consistent with business necessity. The employer must have objective evidence that the employee cannot perform the duties of the job or that he or she would create a significant safety risk, even with a reasonable accommodation. In order for an employer to be in compliance with the ADA, it must establish, through objective, medically-supportable means, that a significant risk of substantial harm could occur in the workplace as a result of the applicant’s or employee’s mental health condition. With regard to an employee’s right to seek a reasonable accommodation, the EEOC guidance explains that such a right exists when the employee’s mental health condition if left untreated, would substantially limit a major life activity. The term “substantially limit” is interpreted very liberally by the EEOC in favor of the employee, with the guidance noting that a mental health condition need not be either permanent or severe in order to constitute a substantial limitation and that conditions such as clinical depression, post-traumatic stress disorder, bipolar disorder, schizophrenia, and obsessive-compulsive disorder “easily qualify.” In addition, it is worthy to note that the EEOC guidance does not use the word “disability” when explaining exactly when the reasonable accommodation interactive process is required. Major life activities are also interpreted broadly to include the employee’s ability to concentrate, interact with others, communicate, eat, sleep, care for himself, or regulate his thoughts or emotions. The guidance provides some specific examples of what the EEOC would consider being reasonable accommodations, including altered break and work schedules, quiet office space, changes in supervisory methods, choice of specific shift assignments, and permission to work from home. The EEOC guidance also provides the imprecise advice that an employee who is unable to perform the essential functions of his or her position, even with an accommodation, may be entitled to an indeterminate amount of leave that will help the employee “get to a point where you can perform those functions,” and further states that in the event leave cannot be provided by the employer and the employee is “permanently” unable to perform the necessary functions of his or her job, a job reassignment may be required. In connection with such an analysis, the EEOC published a companion document entitled “The Mental Health Provider’s Role in a Client’s Request for a Reasonable Accommodation at Work,” which guides health care providers regarding the necessary documentation for requesting a reasonable accommodation from an employer. Although the EEOC’s new guidance on mental health conditions in the workplace is not legally binding, it is instructive in understanding how the commission will likely interpret claims of discrimination on the basis of a mental health condition and serves as a timely reminder to employers to ensure that related practices and policies are in place and are adhered to. It is recommended that employers consider seeking legal counsel before denying a requested accommodation or taking adverse action against an applicant or employee who has a mental health condition. 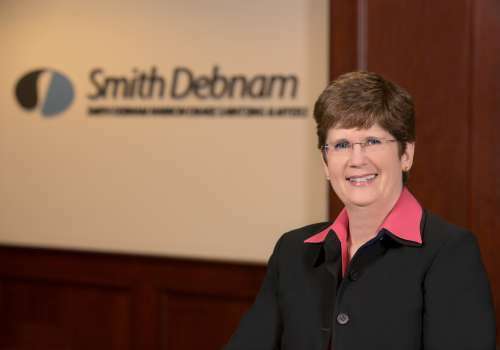 If you have questions about this EEOC resource document or any other matter relating to employment practices, please contact Connie Carrigan at ccarrigan@smithdebnamlaw.com.